Congratulations! Your team roster has at least five runners registered and you’re ready to roll for the 2017 Market to Market Relay Nebraska! This year’s race will feature 600 teams. You may be thinking… now what? But don’t worry, we’ve got you covered! We have a timeline all sketched out for you of important release dates for race information. Official Rulebook is available now. Print or bookmark on your smartphone for race day. It’s a great resource to answer your questions. Starting Waves Announced: Starting waves will be added to website and sent by email on 8/30/2017. 2017 Race Day Guide The digital version will be added to the website and sent by email on 8/30/2017. You will receive printed copies for all team members at Packet Pickup. 2017 Race Brief will be added to website and sent by email on 9/18/2017. Final Reminders will be sent by email on 9/25/2017. Special Captain Announcements will be sent by email on 9/28/2017. Packet Pickup is 9/22/2017 and 9/30/2017. Race Day is Saturday, 9/30/2017. You may have some questions regarding changing or adding runners to your roster. What happens if I need to add or substitute a runner? Substituting a runner now costs $15 and making a change is simple. Just go to the website here and add or delete runners as you did previously. What happens if my team loses a runner and we decide not to replace them? No action is required if you still have at least 5 runners registered. Example: If you lose 1 person on an 8 person team and your team decides to compete with 7 runners. You DON’T have to do anything. DO make sure you have at least 5 runners registered and no more than 8. Teams with only 4 team members are not allowed to participate. Thanks for getting your team complete with all the information needed for race day! 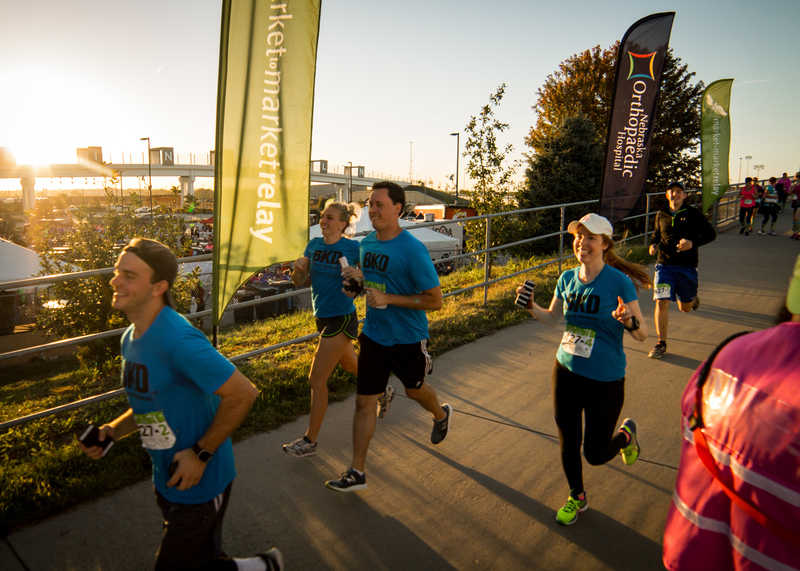 We can’t wait to see your faces at this years special 10th Anniversary edition of the Market to Market Relay Nebraska!